Dre’s Clown of the Week: Philippe Mexes vs. Lazio. Juventus — What�s In A Name? I was probably around 8 or 9 when my father came home with black and white paraphernalia from work one day, for the first time that I can remember. There was maybe a cheap-looking backpack, a hat, a plastic digital wristwatch, all adorned with a black and white badge with the silhouette of what I spent most of my life believing was a zebra or horse, but is actually a bull. The thing that I enjoyed the most though, were the scarves. Sure, they were shoddy-looking as well, some sort of acrylic or nylon based fabric, think the material that cheap Halloween costumes are made out of. Back then, there wasn�t much by way of official Nike or Adidas merchandise readily marketed or sold. But these were fan scarves, custom made by tifosi, and though I would come to appreciate the nuances of this dynamic not for literally 15 years or more later, for some reason I appreciated it then, almost intuitively. �Youth in black and white,� read one. Of course, all of the swag that my dad was bringing home was that of Juventus FC, the most storied team in Italian football. Hailing from Bari near the heel of the boot of Italy, my father chose Juventus of Turin, an industrial city way up at the heel of the Alps, as his team. His co-worker and friend Sam is from Sicily, and was the man responsible for the trinkets my dad would bring home for me — a kind man, he�d bring these back to my father from his jaunts to the homeland. Where I grew up, the other kids had such an intimate working knowledge of the other type of football, from Sundays spent watching the plethora of coverage all over the local networks. I never understood it, and to my own detriment — it�s a fantastic sport — yet for years I simply viewed it as the one thing that cut into the beginning of �The Simpsons� for much of the colder months. But just like that I, myself, had something physical to hold onto, or hang on my wall, something with colors to match the games played on a fuzzy channel called Rai (a picture quality which would remain to date), where commentators excitedly spoke in a language which seemed slightly more proper than the Barese/Calabrese hybrid mix cackled about in my own home. It wasn�t a shiny blue starter jacket with helmet and facemask stuck on the left breast, but it was something. Global soccer is so rich in history, the clubs which comprise it so steeped in local factionalization, often torturously intertwined with certain groups, classes, and/or political causes, a single name, frequently deriving from a city or locale, can speak a thousand words (or characters, for the Twitter generation) about a club. Liverpool and Manchester evoke images of working-class port cities, which seem to perfectly match the industriousness of the direct style of English play. Cities with notable populations of Irish immigrants, the red shirts worn by players of its popular teams bely the blue-collar background of its supporters. Barcelona is the center of Catalan culture, and their insignia featuring the Catalan flag — banned at times during the reign of the Spanish nationalists — is but one of many tacit or overt symbols of the sectarianism which characterize modern Spain, and is ingrained in the history of the club and its supporters. Their perpetual rivalry with Madrid — the center of Spanish federalism — seeps beyond any pitch, and is nothing short of legendary. Supporters of Fiorentina, from the renaissance city of Florence (Firenze), have an heir of superiority about them which mirros their love of a club which seems to have last peaked in the time of Dante. Meanwhile i diavoli, ACMilan, is perhaps the quintessential symbol of a city which combines the flair of fashion with the hustle of a factory town. And yet perfectly, Juventus is a name devoid of any geographical undertones. Deriving from the latin word for �youth,� Juventus is known colloquially by many other monikers, as teams often are. La Vecchia Signora — the old lady (of Italy/Italian football). La fidanzata d�Italia — Italy�s girlfriend. Gobbi — hunchbacks. �Depending who you ask, the latter most is either a derivative of the aforementioned old lady nickname, or a pejorative due to hunchbacks being a symbol of good luck in Italy, a tongue-in-cheek reference to a team which always seems to receive it. At any rate, these nicknames continue the locale-neutral theme in an affectionate manner. See, Juventus has more fans than any other team in all of Italy, but that is not due to the enormity of the region of Piedmont (it isn�t, actually). She also has more fans worldwide than any other Italian club. This is notable for Italy which, much like Spain, has been mired by sectarianism, territorial discrimination, and since the ancient days of the Roman empire until only about 150 years ago, has rarely been unified under one (and even if so, nary a domestic) flag. To this day, there are legitimate political movements afoot in Italy which wish to either fully separate the industrial, affluent, and economy-driving north from the more agrarian south. Surely, ill will flows both ways on the peninsula, with some southerners resenting and mistrusting their northern compatriots — if considering them compatriots at all. Historically known for drawing more fans at away matches than in their own stadium at times, Juventus is as popular in the deep south of Italy — in places like Bari or Sicily — as it is anywhere. Always featuring a strong Italian core, even now in an era of globalization, Juventus has historically contributed most to the most successful Italian national teams — a national team which is but a handful of things that gives Italy reason to behave like a unified nation, biennially at that. 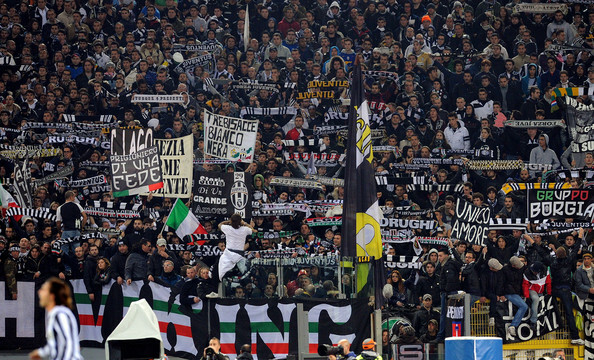 Obviously, not every fan of calcio is a fan of Juventus. A team that�s won the league title a record 32 times (and second place is not even close) will certainly be polarizing. Owned by the powerful Agnelli family, the patriarchs of the Fiat automobile empire, there is an aura of corporateness about them which, combined with the team�s domestic success, can be compared to that of the New York Yankees. Historically operating with balanced books in contrast to other spendthrift clubs with wealthy sugar daddies, the team likes to think it has a dignity about them referred to as Lo Stile Juve (Juventus style) which sets it apart from the rest. Depending on whom you ask this Stile Juve may be a myth, but it�s something that many Italians — both within the peninsula and diaspora — can find a cultural commonality with, regardless of region.